You should get a set that suits your needs at the lowest price point. Cheap sets are just that, cheap, while higher end sets are of the upmost quality. Well that was vague! I know, I know. Let me explain. But for just looking for a straight suggestion, here it is – The St. Pierre Tournament Set (link takes you to the product page on Amazon – Thanks for the support!). I’ll start with the cheap sets. Don’t buy them. They are cheap and won’t last too long. The game involves hitting the balls against eachother, and to make something to withstand these high forces of impact is not cheap. Heck, some are even filled with water to cut costs and give the impression of weight! 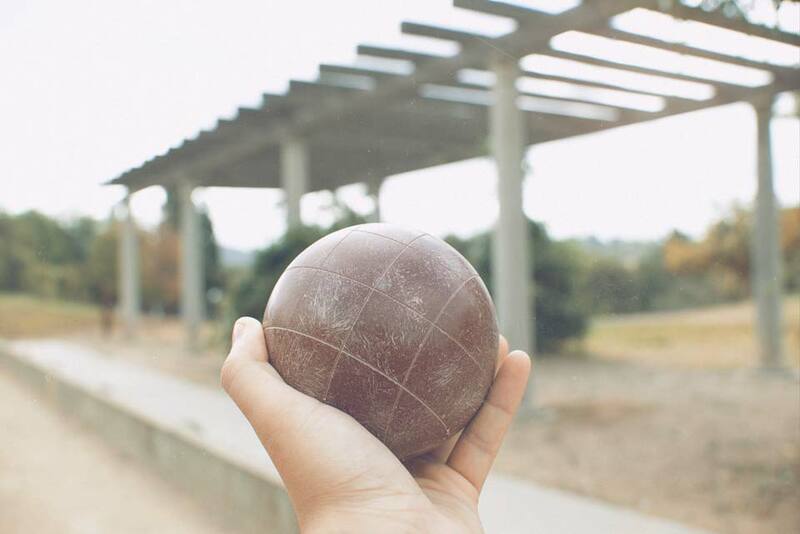 Real bocce balls are made from solid material. The ones that are not made entirely of solid material will be small, light, and fragile and they WILL ding and chip when they hit anything hard. Who is this set for? The only time I would recommend these sets is for children who don’t know any better. But that’s even tough to do as children treat anything as if it’s unbreakable, which these sets are certainly not. Next we have our middle priced sets. These balls are usually made of cheaper plastic instead of thermoset resin. Some sets will have an outer resin “shell” and be filled with recycled filler material. It’s a great way to cut costs, but unfortantely, the weight of the balls are often not heavy enough and may even vary from other balls in the same set. 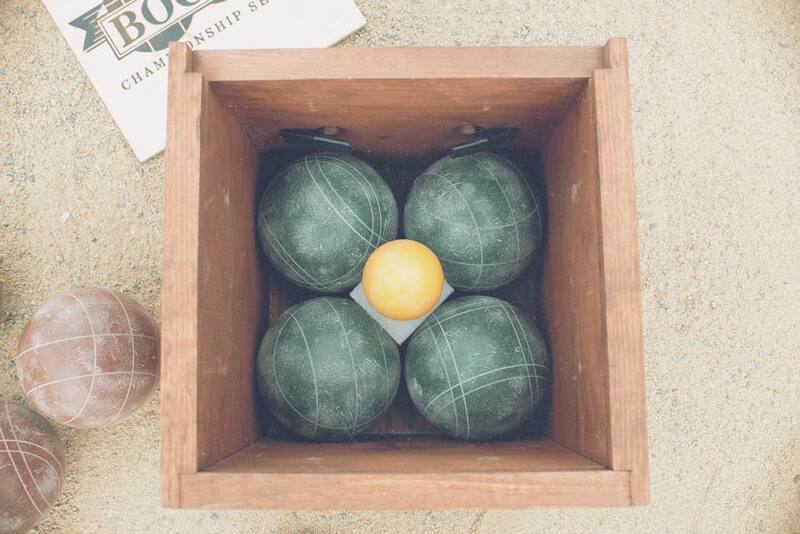 You want your bocce balls to be heavy, all the same weight and size, and properly balanced. You just don’t get that with cheap sets. They are also more prone to cracking and chipping as the filler used is softer and less dense than resin and provides less support for the outer shell. This means that you may be in the bocce market once again sooner than anticipated. But they do have a place. These sets are good if you are playing only at the family reunions or family camping trips. Also, if you play in grass or uneven surfaces than having a perfectly balanced and weighted ball won’t make much of a difference. These sets will be just fine. I’d recommend staying on the lower end of the price point if this describes you. The best for last. These are pretty much everything the previous sets were not. They are made from solid high quality thermoset resin. They are accurately sized, weighted, and balanced. And they are durable. You can and should expect these to roll straight and true exactly as you intended. Theses things are super hard so they will resist dings and nicks much more than the cheaper sets. They do scuff though, which is completely normal and expected in bocce ball. Many including myself believe this makes them look better. I have the St. Pierre Tournament Set and highly recommend it. This set has been treating me VERY well since the beginning of 2015. The wooden case it came with is made from thin wood and doesn’t feel that durable, but it’s held up. I don’t treat it roughly. If you would rather have a nylon bag and save $20 you can buy this set which appears to be the same just with a nylon bag instead of a wooden box. I used to play with my friends cheap set and boy what a difference. I was shocked at how much heavier and solid feeling these were. The first game we played I had to get used to them, but it wasn’t long before I was playing better than I ever had before. If you are looking for some color and smaller balls (great for children) there is a beach bocce ball set which has 5 stars on amazon! I haven’t personally had my hands on these, but from the reviews it seems as if everyone likes them. They are smaller which means they are lighter which makes them better suited for the beach and younger players. The colors just make them look so fun! I may be getting these for the beach. I’ll post a review when I do. Real quick, there are some sets that are in the hundreds of dollars too. I don’t see a need for these unless you are going for aesthetics like marbled bocce balls. If that’s your thing go for it, but I’d recommend staying closer to the $100 price point and going out to dinner to celebrate for your new bocce set. These sets are for anyone that wants a durable set that will last them for many years if not decades. 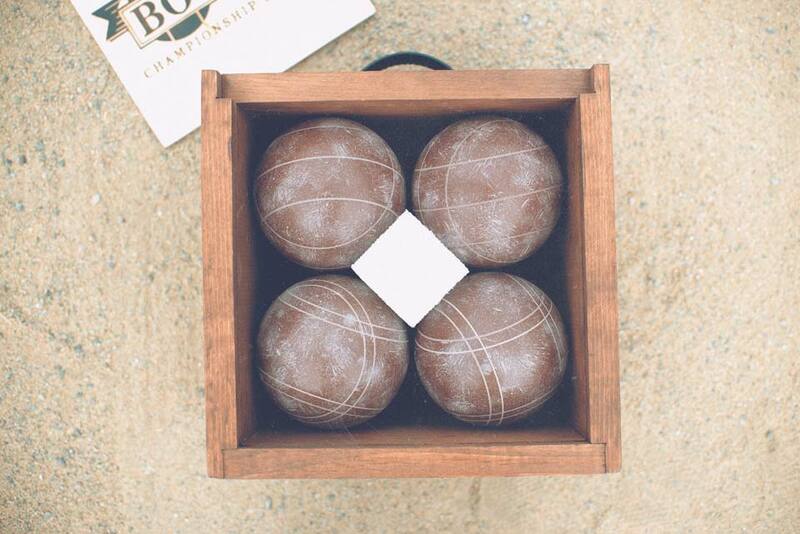 It is for those that are going to be playing on bocce courts and want a straight roll. It is for those playing at the park with the family and need a set that can take the abuse. 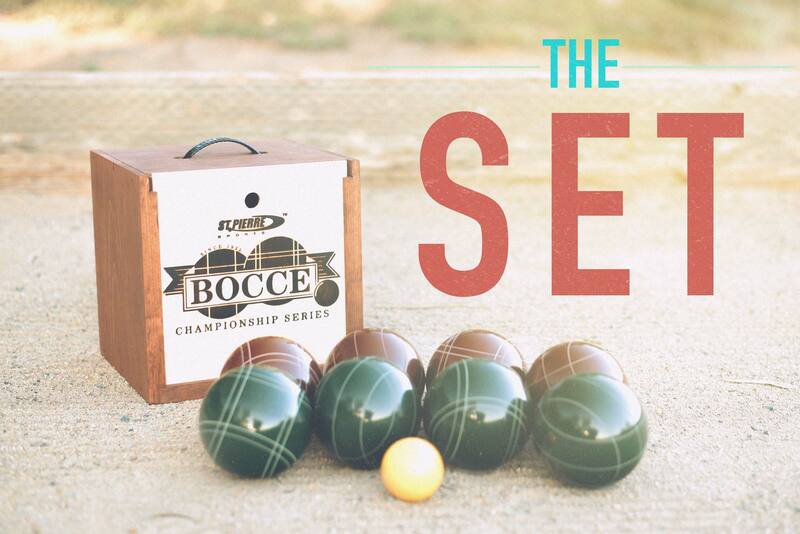 It’s for all bocce enthusiasts and professionals. Well now that we got that hot mess out of the way, what size? I see all kinds of sizes, 74mm, 90mm, 100mm, 107mm, 109mm help! It’s quite simple. Bigger is for bigger hands and smaller is for smaller hands. Weight also goes with the size. So if you have kids or elderly playing too than I’d recommend going with a 74mm – 100mm set to accommodate for both small hands and compromised strength and joints respectively. If it is mainly for adults than a 107mm set would be perfect. Slightly bigger or smaller is fine, but 107mm is standard and a good fit for both men and women. What are the lines on the balls for? The lines are just a pattern to differentiate between the balls. Most sets will come with two colors and two designs per set of colors. This is so that you can play one vs. one with just color being the differentiating factor or you can play two vs. two or even four-for-all with each player getting a specific design and color. That was a mouthful, hopefully it’s clear. 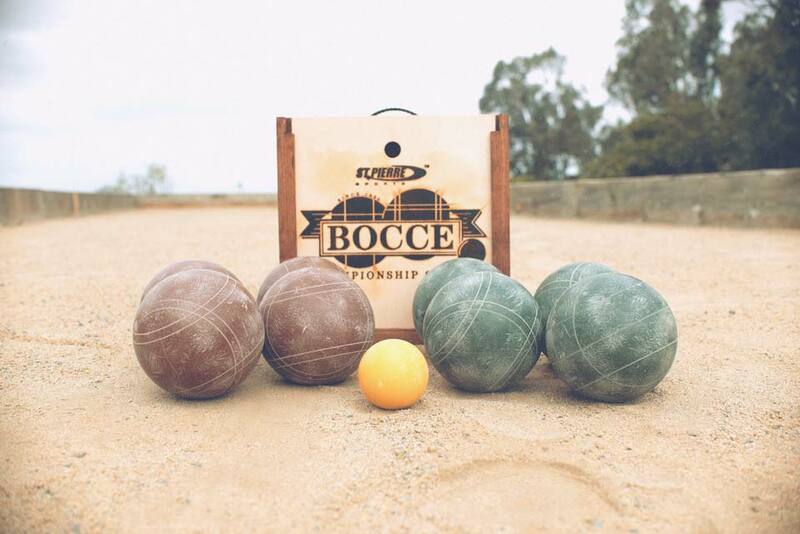 Joing our mailing list and be notified by email whenever there is a new post to take your bocce skills to the next level! *Sorry spam lovers, I hate spam. So no spam for you. Awesome! You're on the list! P.S. This is a new site. It would really help me out if you share and help spread the word. That's a Wrap. Was this helpful? Thanks very helpful to a newbie! No problem! Glad it helped. Let me know if you have any questions.